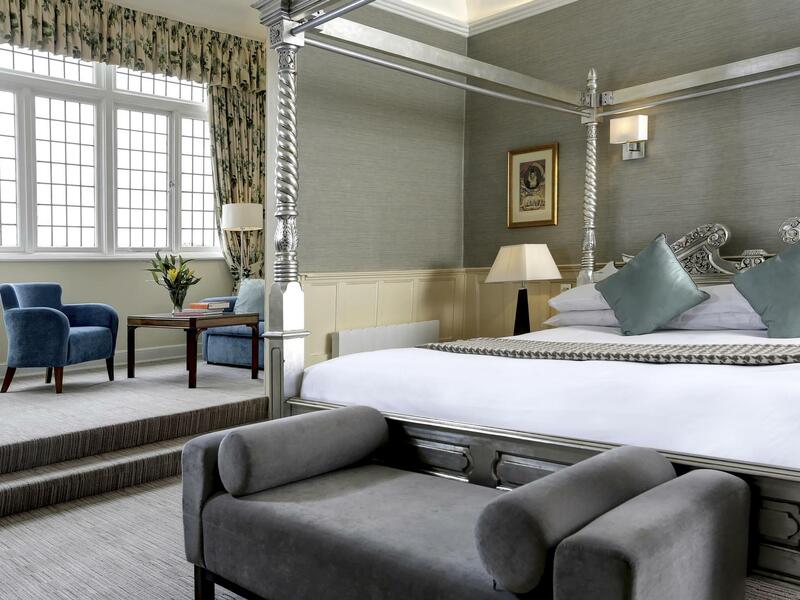 Beautiful hotel situated in Winchester town. Only stayed two nights but rooms were comfortable and large. We had our daughter with us so requested interconnected rooms which we were given. Car park on site but with a charge. Breakfast was superb with tons of choice. Beautiful town and nice range of restaurants and sites to see around the area. Would definitely stay again. Its so close to town but they have good parking and the staff helped us on every request. Check in was friendly. They were helpful in providing information about the car parks (2), breakfast and walking routes around the town. The rooms were in the new wing and a little jaded. No fridge or walk in shower, but the beds were very comfortable and they were clean. Late check out not a problem at no extra cost. Ideal location, good service and would visit again. The hotel feels tired and in need of some fairly basic maintenance. My wife and I stayed for one night and were in Winchester to celebrate my birthday. Getting ready to go out for dinner I showered first. The shower fittings were loose and fell on me. I carried out a basic repair and my wife then used the shower. She could not get the controls to work properly and ran out of the shower to avoid being scalded! A short visit from a plumber could remedy these problems ... oh yes, and a toilet roll holder would be nice. 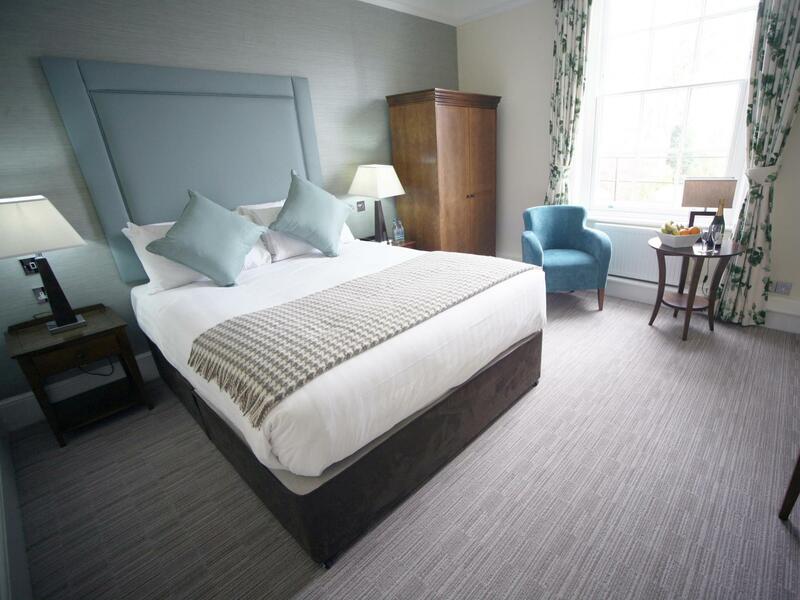 Driving into Winchester and parking at the hotel is very difficult but once there the staff are wonderful and the rooms spacious and well appointed. There was no air conditioning in the heat which was most uncomfortable and no fans provided. The garden was lovely and the food was excellent. The staff were absolutely wonderful, so friendly and helpful. Total gem of a hotel. We were in Winchester for the weekend for an event, but not staying on the Saturday night. Staff were brilliant in dealing with our every request, including storing a bag for us while we were away on the Saturday, the request for a room with a bath on the Sunday night when we got back (very much appreciated! ), and the provision of a phone charger. I also loved the Nespresso machines in all the bedrooms and the availability of decent coffee. Location is fantastic, 2 mins from the High Street. You could hardly be any closer. We didn't manage to eat or drink in the hotel, our timings didn't allow it unfortunately, but the menu looked good and the environment is lovely. They also have an impressive array of gin behind the bar. So I would eat there if we stayed again. Every member of staff we met was incredibly helpful and friendly and I wouldn't hesitate to recommend this hotel and stay here again. Have stayed here twice now and it is a lovely hotel. My only gripe is that breakfast cost is not included in the room price and also you have to pay extra for the car park per night! If there isn't a space available in the car park then I don't know what you would do? Also the wifi is pretty bad. I would love to stay again but once you add on breakfast per day and car park costs its too expensive. My husband and I arrived early having easily found the hotel. We were a bit confused about how to get into the car park, but soon figured that out. The staff allowed us to check in despite being early, which was very kind. They also gave us useful information about availability of parking and how to book into any meals we planned to take at the hotel. Our room was lovely and large, and cleaned to a high standard. We had a room overlooking the garden, which was fantastic (especially in the snow). We were worried that the room would be cold as the windows were not double glazed, but using the radiator, electric heater provided, and closing the very heavy curtains, it was more than warm enough. It was also very quiet so we slept very well. All of the staff that we interacted with were very welcoming, friendly and helpful. The hotel was a 2 minute walk from the High Street and only 5 minutes to sites like the Cathedral and City Museum. Overall a fantastic stay! A very attractive central hotel. My room was lovely - well appointed, quiet and very clean. The breakfast was worth £12! Great location and very helpful staff. There was a small problem with my room and a very helpful member of staff called Charlie sorted everything out really quickly. I have booked to go back again in the summer. Excellent on all fronts from arrival to departure. Staff polite and helpful; room was comfortable, well equipped with plenty of power points and a television which was easy to use. The location of the hotel is very good - on a pleasant street with an easy walk to station, Cathedral and town centre. Food very good and there are comfortable big open spaces in which to sit and read and have drinks. I much enjoyed my stay. Lovely hotel with a room that felt so homely it was more like a family guest room than a hotel bedroom, which sometimes can feel quite sterile. 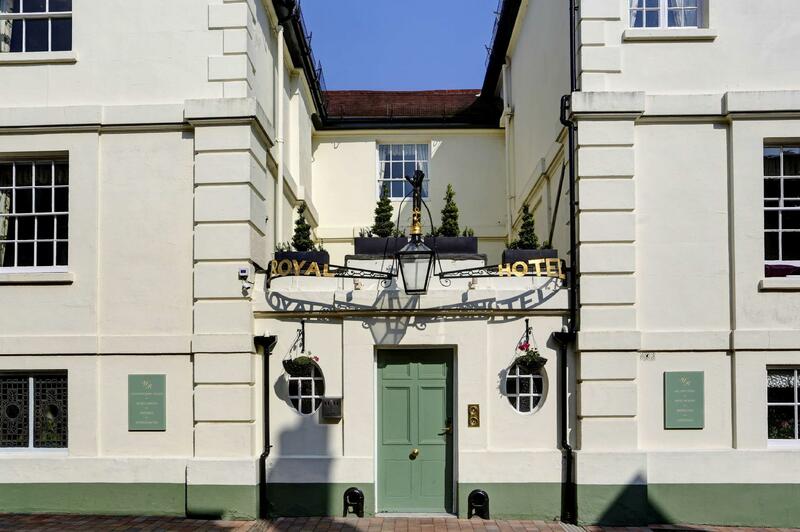 The hotel is very well located in central Winchester, moments walk from the quaint pedestrian Main Street and close to the marvellous Cathedral. We did not spend time there but the hotel has beautiful grounds with a very inviting garden that looked splendid with the autumnal leaves. It also has a very nice restaurant and separate bar and lounge areas for guests to gather outside of their room. Highly recommend this hotel and will definitely stay here again when we're next in the area. Right in the middle of Winchester. You can stroll to all destinations very easily. My room in the modern wing was spacious and clean. Nice bar and lovely garden to sit out in occasional British sunshine. Beautiful venue for a wedding. Staff are very friendly and helpful. Food was fantastic. Rooms were clean and a good size. And the garden is an added bonus! Would definately recommend. We even went back a few days after our wedding for the Hampshire break, which was bed breakfast and afternoon tea. Amazing time! Couldn't get more central right in the heart of the city and 2 minutes walk from the cathedral. They charged us £10 for parking!! Our room was in the main house which is a very old building however the floors were slanted at an angel and it felt like being in Alice in wonderland! 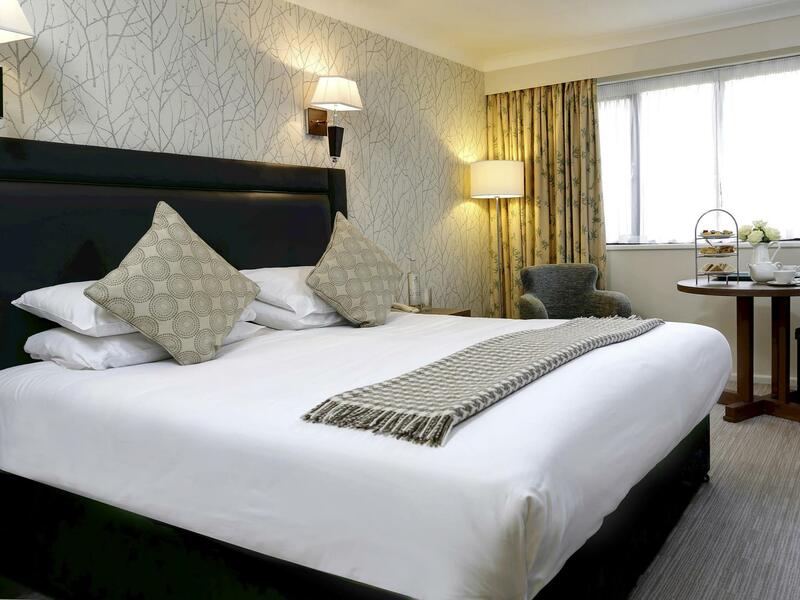 Very clean and the staff were extremely helpful and polite we didn't have breakfast and we stayed just one night but I would stay again and would also recommend it to anyone. 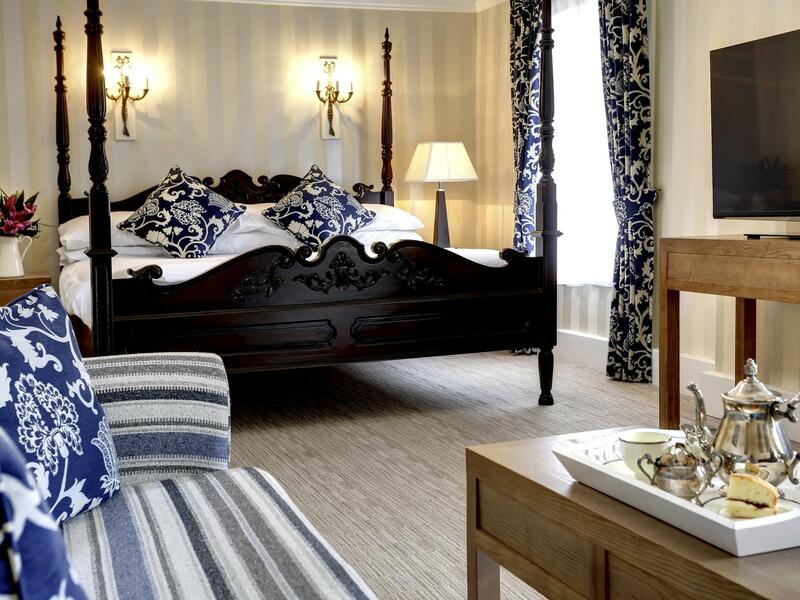 The staff were really friendly & helpful and the hotel is lovely, very clean and tastefully decorated. Secret garden is gorgeous, only shame is its impossible to drink out there in the evening as early to bed people complain about noise. At 11.00!! I needed somewhere clean and comfortable to stay for a wedding outside of Winchester. This did the trick. 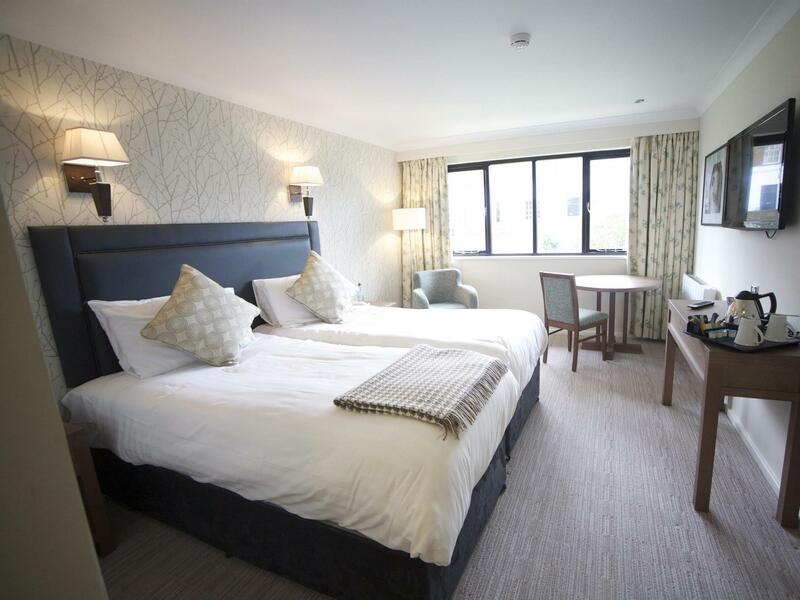 The staff were extremely helpful, the bed was comfortable, and the room was very clean. And, of course, the surroundings are beautiful.